Some context, might help. The Asian Football Confederation had chartered a plane to fly the great and good (and others… and me) of Asian football from Dubai to Marrakech in Morocco for a FIFA Congress, it’s annual kind-of parliament. The event also included a dinner in the desert, with catering staff flown in from Germany for the evening, and a close up performance by Youssou N’Dour. That night is in itself an epic story but might be best left for another time. When our plane arrived back in Dubai, Bin Hammam stood by the exit door and planted two kisses, cheek to cheek, on each and every passenger. This was different. Not something you usually get from cabin crew (in my experience) after a long flight. Importantly, this was also way more intimate than a Sepp Blatter two-handed shake. “Thank you, thank you, thank you,” Bin Hammam said, although what exactly he was thankful for wasn’t clear. Just yet. 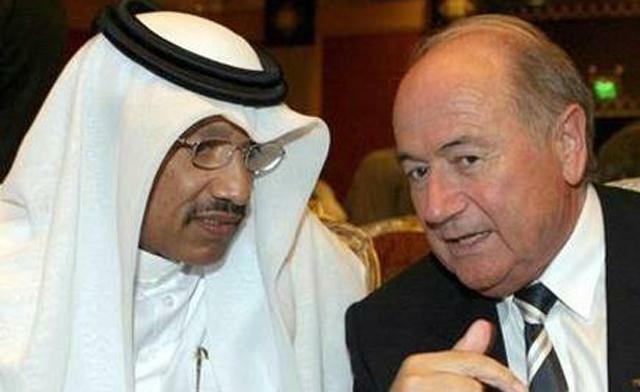 Men in suits: Mohammed Bin Hammam and Sepp Blatter talk about their, uh, ‘passion’. Probably. If this is what Bin Hamman did for almost strangers then what did he do for friends? Or even ‘friends‘? That was answered and became quite clear with the recent revelations from the Sunday Times about Qatar’s 2002 World Cup bid that included a trove of emails from Bin Hammam to, well, just about everyone. 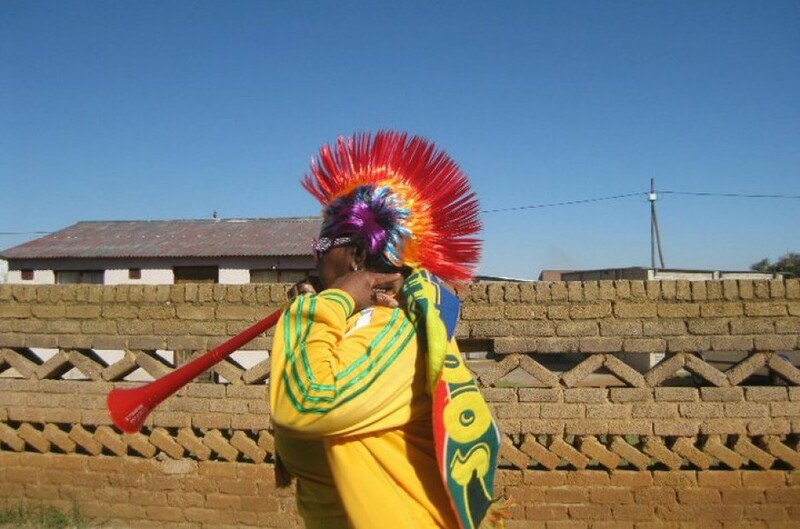 Reporter James Corbett covered the 2018 and 2022 World Cup bids extensively. Here, he suggests the Bin Hammam trail leads DIRECTLY back to FIFA President Sepp Blatter. Keir Radnedge, the former editor of World Soccer, believes the Bin Hammam emails have been misread and his largesse applies more to his 2011 tilt to unseat FIFA President Sepp Blatter than the 2022 World Cup bid. 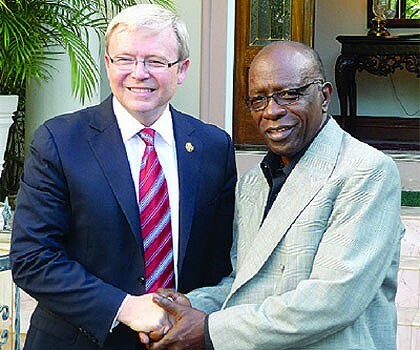 At the time Australian Prime Minister, Kevin Rudd shakes hands with then FIFA Exco member Jack Warner who it is alleged ‘stole’ a donation from Australia’s FFA. Warner denies the allegations. And, in a case of be careful what you wish for, the Sydney Morning Herald reports Football Federation Australia failed to call in the police to investigate allegations FIFA executive Jack Warner stole $500,000 from FFA; FFA’s Chief Financial Officer quit after expressing concerns that he was not able to oversee the FFA’s multimillion-dollar World Cup expenditure; and former FFA Corporate Affairs manager Bonita Mersiades was flown to New York to be interviewed by FIFA investigator Michael Garcia. While much about this issue remains speculation, one thing is guaranteed. If Qatar’s bid for 2022 is revealed as a genuine scandal it won’t be the only one. And that has nothing to do with kissing Mohammed Bin Hammam.